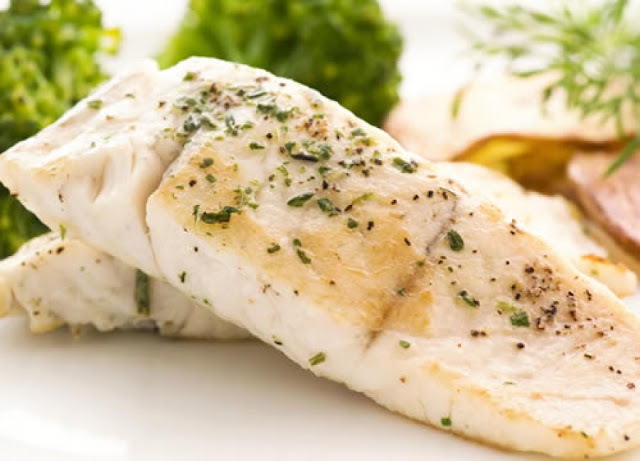 Chilean sea bass is popular for its white, oily flesh that is easy to cook. Also known as toothfish (Dissostichus eleginoides), many of these fish are caught off Patagonia, where the stocks are threatened by overfishing. 1. Season the fish then cook on high heat skin side3 down first until the skin is gold and crispy, then flip over and cook the other side until it is done. 2. Blend all sauce ingredients together and season with with salt and pepper. 3. Garnish with roasted garlic and parsley.